With the eccentricities and curiosities of Alessandro Michel’s Instagram driving the Gucci Gothic Aesthetic, this post examines how the medieval has driven artistic styles. 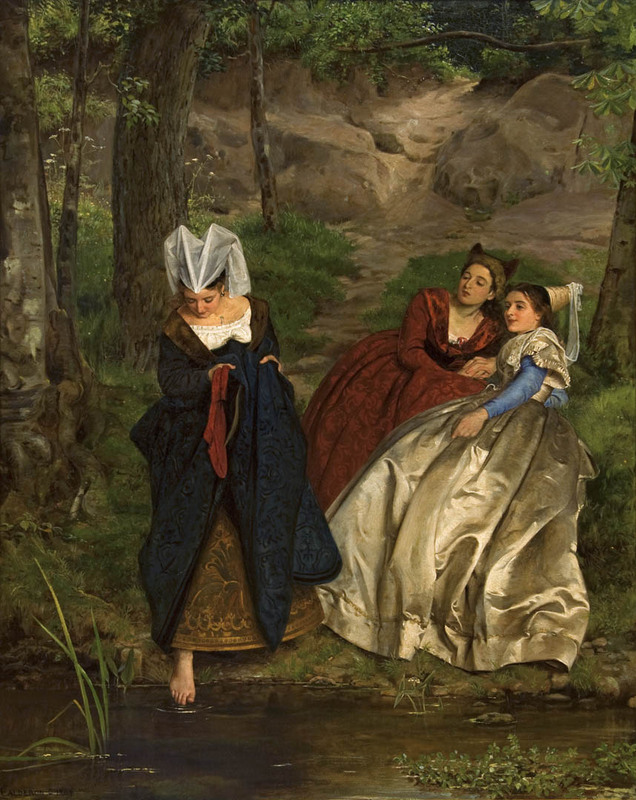 Philip Hermogenes Calderon, At the Stream, Oil on canvas, Guarisco Gallery. Click to inquire. With the eccentricities and curiosities of Alessandro Michel’s Instagram driving the Gucci Gothic Aesthetic , this post examines how the medieval has driven artistic styles. Although the “Middle Ages” has been a catch all for everything in between Antiquity and the Renaissance, contemporary history seeks to revaluate the term and breath life into the times-as Gucci’s Westminster Catwalk has achieved. Nevertheless, the sonnets and spells of the Middle Ages has permeated pop culture. Starting with the Pre-Raphelite Brotherhood, whose members’ art is represented in FADA Galleries Guarisco Gallery and Schiller & Bodo European Paintings. With its members obsessed with the Italian poets, Dante + crew, their art, beyond contesting Royal Academy standards, appropriated the subjects-costumes and all, of that era. The Middle Ages became an artistic conduit to express contemporary dissatisfaction with the ideals of beauty and art. 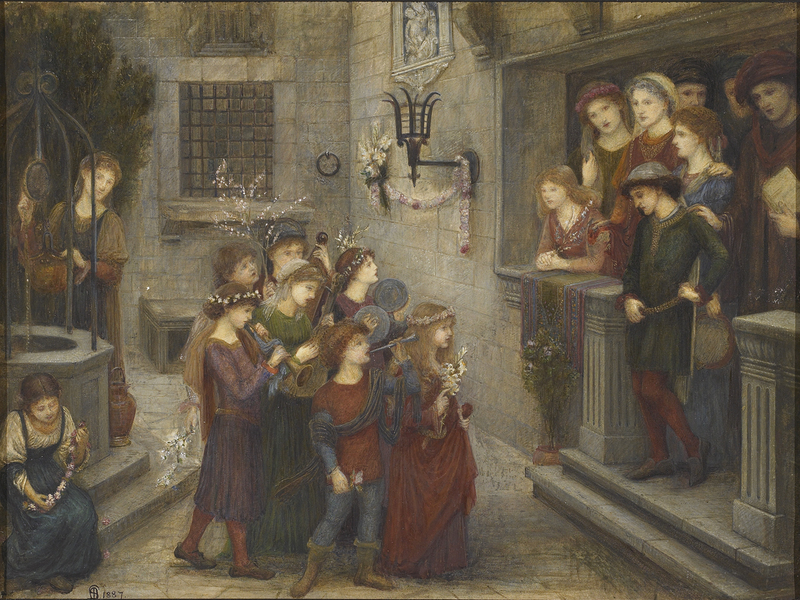 Marie Spartali Stillman, A May Feast at the House of Folco Portinari, 1274, Watercolor on paper, Schiller & Bodo European Paintings. Click to inquire. Beyond subject matter, Medieval mediums have manifested themselves to fit contemporary culture. 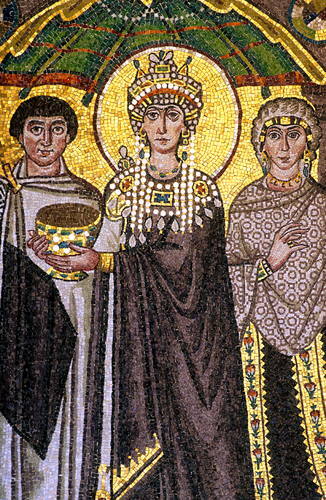 Warhol, raised in the Orthodox faith, seemingly recreated the mosaics in medieval Ravenna churches in his screen prints of pop culture’s idols. 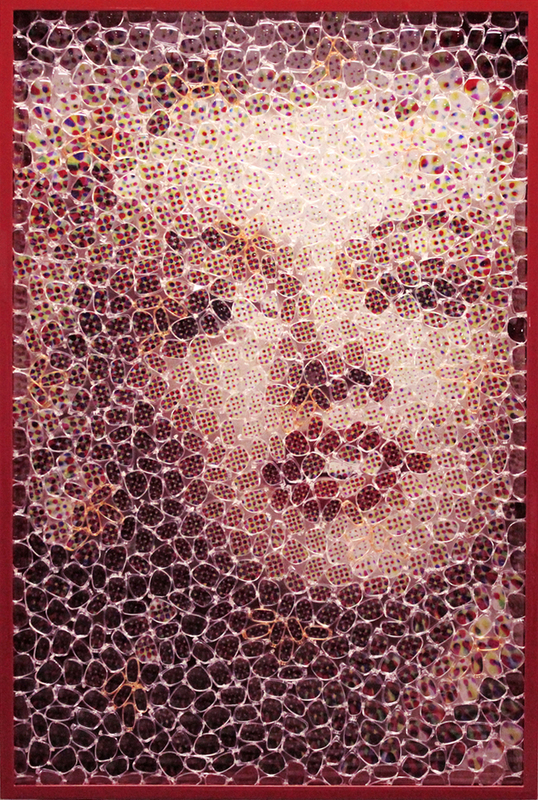 Today, David Datuna of Contessa Gallery has taken the mosaic medium in an act of reverence for Marilyn Monroe. David Datuna, Eye to Eye: Marilyn, Mixed media, Contessa Gallery. Click to inquire. 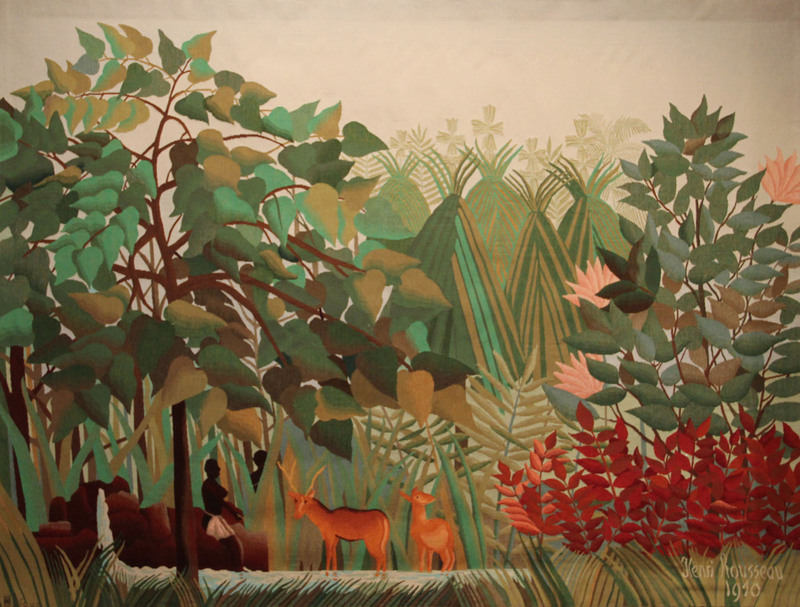 Henri-Emilien Rousseau, La Cascade, Tapestry, Jane Kahan Gallery. Click to inquire. In the same day, you can see the famed Unicorn Tapestries at the Cloisters and head to FADA Gallery Jane Kahan for modern tapestries by Rousseau. 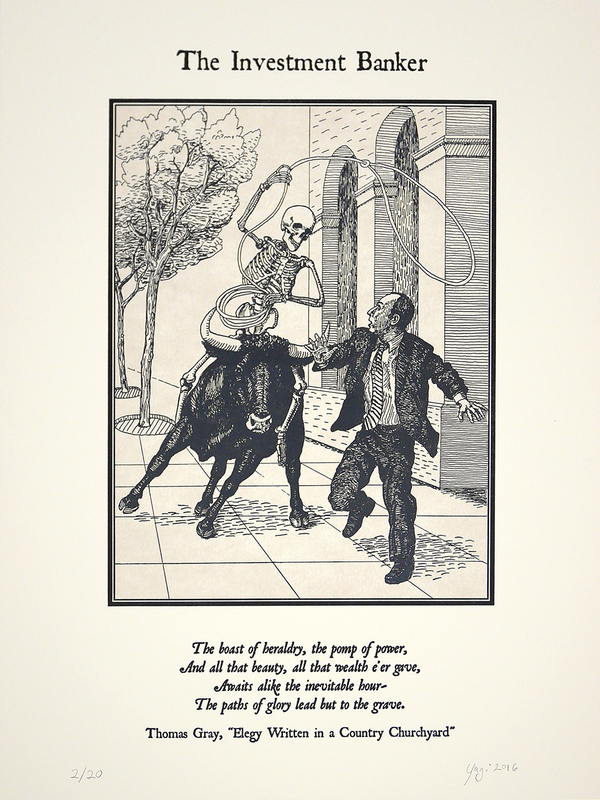 Sandra Yagi, The Investment Banker, Letterpress, Bert Green Fine Art. Click to inquire. 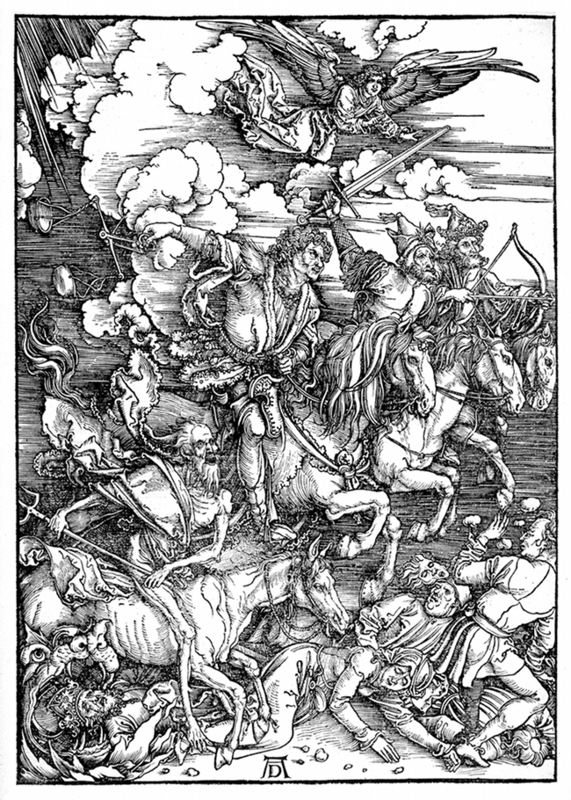 Similarly, Sandra Yagi’s letterpress quotes Durer’s print of the bible’s Four Horsemen of the Apocalypse. Though not a religious subject, Yagi’s reference adds to the moral forewarning of the work. The Middle Ages today encompasses connotations of the spiritual and mystical-ideologies that have been continually pictured and transformed by art.